1 gets a screen of 5, gets free and receives the ball of 2. 4 moves to the low post. 1 dribbles to the top. 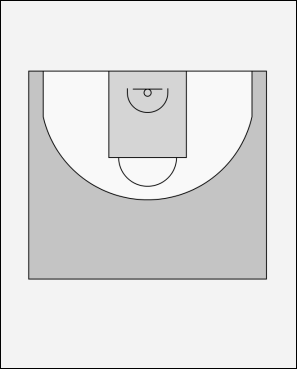 3 cuts to the free throw position. 2 can take the 3-pointer. Pass to 4 in the low post. Or pass to 3 for the high low option.